The sun was casting uncertain shadows on the famed Nine Hills of Nashik’s wine valley as the flitting monsoon clouds kept veiling it. The day couldn’t have been better for the July launch of Soleil, the outpost of the celebrated Goan eatery La Plage at Sula Vineyards. As the Sula Brut Rosé competed with the Dindori Riesling for the attention of the parched guests (an eclectic mix of Sula Vineyards’ founder-CEO Rajeev Samant’s family and friends, Mumbai’s Page 3 regulars, with short-skirted lovelies in tow, and a sprinkling of journalists), the jazz band played languorously in the background. Selections from Soleil’s unconventional menu — prawn mango curry, chicken cafreal roast and an unforgettable urad dal with fleshy oyster mushrooms — waited at the table to keep tempting us back to them. In this crowd, it wasn’t hard to recognise Suresh Samant, the father of the man who has put Nashik on the wine map of the world. Sula Vineyards exports to 25 nations, including China and Germany; straddles 70 percent of the country’s wine market; gets listed by Marks & Spencer across the UK; and, buoyed by a new round of funding by Reliance Capital, Singaporean wine enthusiast Ravi Viswanathan and the investment arm of the founders of beer giant Anheuser-Busch InBev, commands a valuation of Rs 700 crore. A self-made entrepreneur himself, Suresh broke free from the shop floor of the Mahindras in 1970 to launch a company specialising in underwater repairs of damaged marine vessels. He remembered with a wry smile the time when the land covered with vines in front of us was a neglected plantation where papaya and mango trees grew in chaotic abundance. Nashik is where Suresh was born, raised and schooled in a humble municipal institution. But, back in 1993, when his Stanford-educated son returned home after quitting his finance job at Oracle (due to a combination of a heartbreak, general boredom and work-permit blues), the family was seriously considering selling the ancestral patch. No one had the time to devote to rustic pursuits. But, for purely sentimental reasons, Suresh chose to keep the land. Good thing, too, because Rajeev took charge of it, returning to his father’s roots and unwittingly scripting his success story. It was indeed an act of bravery for a young man with a Bachelor’s in Economics and Industrial Engineering and a Master’s in Engineering Management to dream of producing wine in Nashik with wine grapes, and not with everyone’s favourite, Thompson Seedless. (In fact, Thompson Seedless went into the making of the then famous sparkling wine from Chateau Indage Marquis de Pompadour). It was impossible to set up a winery then. You had to go to Delhi for a licence, and foreign direct investment was out of bounds. Sula was the first winery in the state to get a licence after a freeze of 15 years. Thereafter, in rapid succession, 75 more were issued to establishments that have seen a mixed bag of success. The licence arrived at bullock-cart speed in mid-2000, more than four years after Rajeev, with help from his Sonoma Valley winemaker friend, Kerry Damskey, had planted his first crop of chenin blanc and sauvignon blanc in 1995-96, and completed his first harvest, in 1999. Only a man driven by a dream could take this leap of faith. He even raised $100,000 by betting on Amazon. 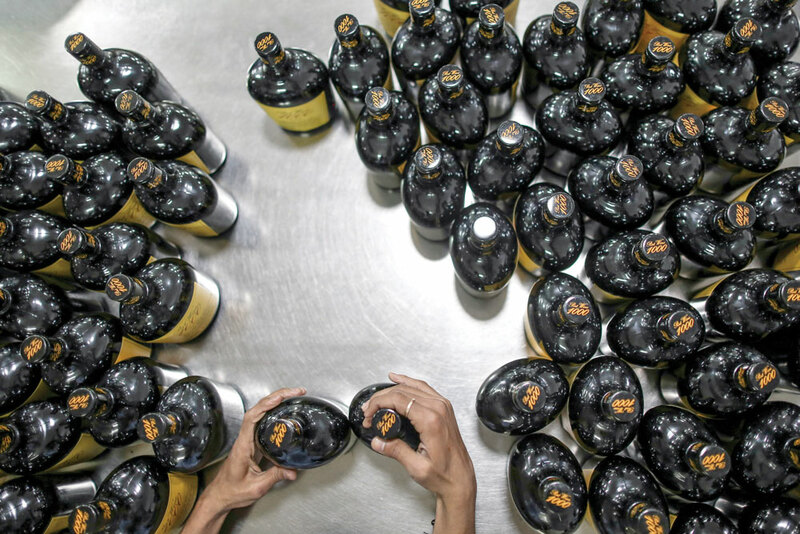 Wine, for him, was a symbol of the country’s post-liberalisation economic renaissance. Rajeev and Damskey, who had started working with a couple of wine entrepreneurs in Nashik, met through a common friend. Their friendship evolved into a business partnership when Damskey, an athletic Californian with a ready smile and Harry Potter spectacles, arrived at Rajeev’s door with a bag full of zinfandel cuttings in the mid-1990s. Steered by Damskey and a hands-on Rajeev, who put pruning shears to good use at harvest time, and also Ajoy Shaw, a microbiologist-turned-winemaker who joined them in 2000, Sula was an instant hit. Though its sparkling, blush and still wines showed every sign of immaturity, their success took their creators by surprise. It seemed the company could not produce enough to keepup with the demand. It’s the same story now, albeit with a twist. Sula now has a problem with satiating the German market’s thirst for wines. For Rajeev, the journey has been a dream ride since 1993, when he came back home, but did not opt for the comfort zone of his father’s company. The awards that his wines win keep getting better (most recently, Sula’s limited-edition Rasa 2012 was the only Asian entry, among 405 wines from 26 countries, to get a silver medal at the prestigious French government-sponsored competition Syrah du Monde). 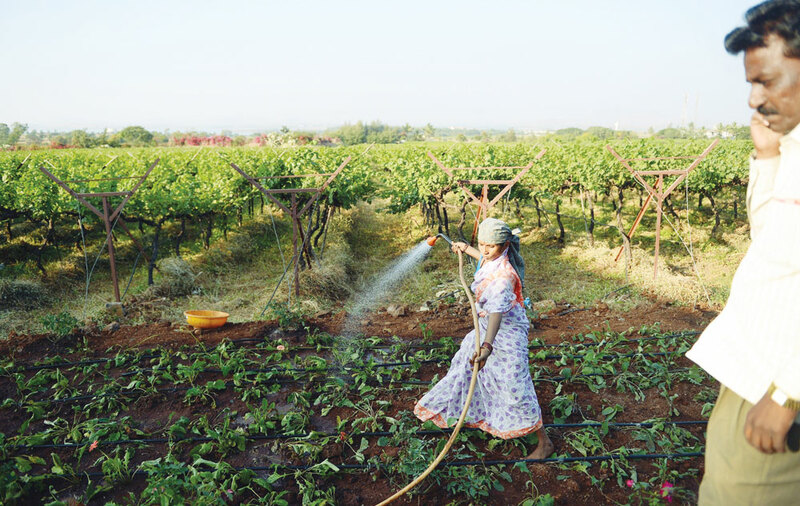 He has had remarkable success in turning Nashik, a district without an airport, into a tourist magnet — 170,000 people from across the world visited Sula Vineyards in 2013. Visitors stay at Sula’s well-managed boutique hotel, Beyond, or rock to the beats of Sulafest, India’s first music and food festival. He’s now also into producing and popularising grapeseed oil, wine merchandising, and organic farming. The asparagus, spinach, goat’s cheese, eggs, honey and other produce from his organic farm (and freshwater scampi from the neighbouring Gangapur Lake) go into the dishes served at Soleil. As Florence Tarbouriech, La Plage’s flamboyant co-founder (her husband, Morgan Rainforth, is the chef), described the experience, she can actually choose when to pick her spinach — no other restaurant in the country can claim to have its own two-hectare farm. Change for the better has been one of two constants in Rajeev’s life. the other being his singleton status. He’s seen often in the company of pretty women from different continents, especially when he’s unwinding at his home in Goa, but he refuses to divulge anything more. “Where’s the time?” he asks and moves on to other subjects.Well, he does have a busy calendar as he sets targets for a host of new projects: setting up a state-of-the-art winery with the capacity to process five million litres a year; turning the original production facility into a boutique hotel; pushing the cultivation of tempranillo grapes (Spain’s gift to the world, first introduced in India at Ajit Gulabchand’s Charosa vineyards); and, continually upgrading the Sula experience for the tourists who throng the destination. “When you visit Sula next year, you’ll have three new things to do,” says Rajeev, hardly sounding like a man in a hurry to take time off to get married. 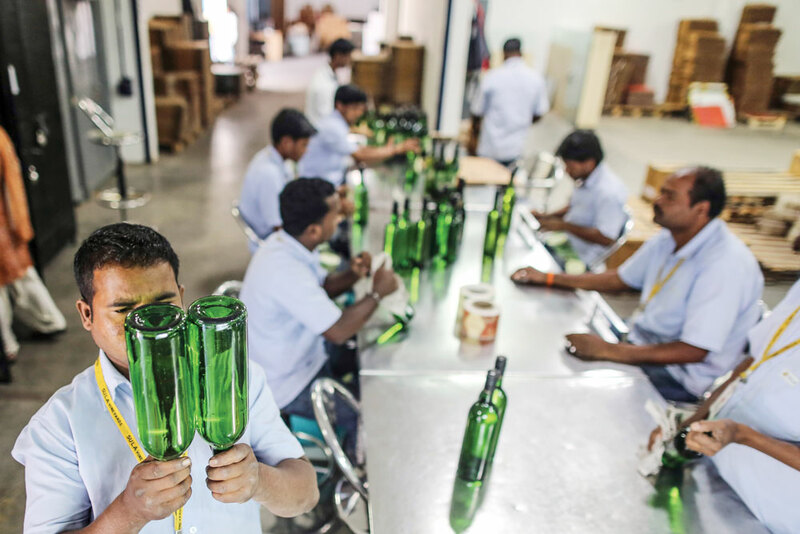 Being a Sula fan since 2002, I have realised one thing — you can never get tired of Sula wines, for each year the company surprises you with a marked improvement in quality. Here’s my pick of the five best Sula wines. After Ajoy Shaw indulged my taste buds some time ago with a pour of the sumptuous 2007 vintage, I instantly fell in love with this much-awarded rarity, which is now available only in a collector’s edition. The problem with good things is that they come in small quantities, so you won’t easily find this limited-production wine easily. It is aged for 18 months in oak and remains unreleased if the vintage is not up to the exacting standards set for it. 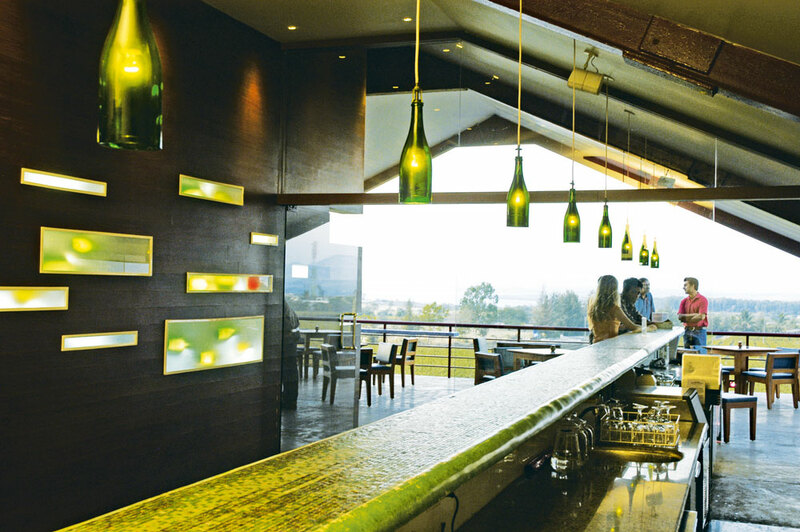 The best place to look for it is The Tasting Room at Sula Vineyards. Check out the 2012 vintage, which just got a silver medal at the Syrah du Monde. Produced from grapes grown in Dindori, this wine, which exudes the warmth of a welcoming host, is aged for a year in new oak. Silken tannins and a luscious body define this wine. It needs to be served slightly chilled after it has breathed for some time. I love it with smoked cheese, though I had it with Kolhapuri chicken the first time I sampled the wine, at the old family cottage that has made way for the company’s ceaseless expansion. This dessert wine is nectar in a bottle. It greets you with the aromas of mango, honey and tropical fruit, making it the perfect ending to a long Punjabi meal. It isn’t cloyingly sweet because it balances the acid with the fruit, and that makes it right for drizzling over piping-hot jalebis or gulab jamuns. It has shown that Indians can make a decent dessert wine as well. A temptress of the palate with a million playful bubbles giving it a refreshing crispness, this salmon pink beauty is a perfectly balanced, bottle-fermented rosé sparkling wine — a blend of chenin blanc and zinfandel grapes. It is best when chilled, to give a new life to jaded taste buds. You can also pair it with dal makhni, murghmalai kebab, smoked salmon and dark chocolate. This is the first white wine to come out of Sula, and it has found many converts ever since. The first sip of the wine will tell you that it tastes remarkably like a sauvignon blanc produced in Marlborough, New Zealand. It has pronounced herbaceous notes, with the aromas of bell peppers and freshly cut grass tantalising the nose. It brings a refreshing acidity to the palate.